Honda Cars Philippines has once again brought into the local market the Odyssey minivan and the Pilot SUV from the United States--the latest models, of course. Since the introduction of the Pilot and the Odyssey in the United States in 2009 and 2011, respectively, both models have received numerous awards and recognitions from various bodies and institutions due to their outstanding roominess, versatility, efficiency and safety. With their unibody construction and independent suspension, both models provide car-like driving feel and ride comfort while still staying true to their utilitarian capabilities. The all-new Pilot was developed using the 'Intelligent Family Adventure' concept. 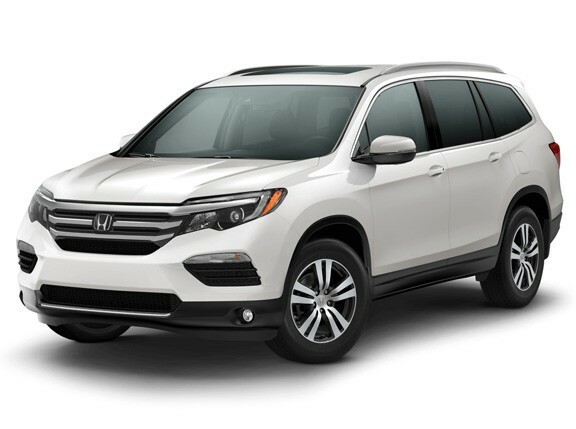 Understanding that Honda customers are smart and make intelligent decisions, the Pilot reflects these traits with its leading engine technology and a genuine concern for the environment and passenger safety. To give the occupants the same sensation of intimacy, the Pilot’s interior is equipped with various amenities and flexible cargo configuration to enhance the traveling experience, The sense of adventure can be seen with the bold design of the Pilot, its good on-road and off-road handling, and its four-wheel-drive capability. The all-new Odyssey, meanwhile, was developed under the 'Ultimate Family Vehicle' concept by combining chic new styling and class-leading performance with advanced family safety and ultimate utility. The exterior of the Odyssey has modern and sophisticated styling that features the 'lightning bolt' side profile, giving it a distinctive identity against its competitors. The interior of the Odyssey gives high consideration to occupant safety and convenience with its high level of safety features and amenities. Furthermore, cargo space configurability is improved with the third-row Magic Seats that can be tucked away completely or partially. The Odyssey also has a low ground clearance that enables second- and third-row passengers to easily get in and out of the vehicle. Power sliding doors at both sides of the vehicle allow effortless opening and closing, while the rear power tailgate allows for easy opening and closing. Both the power sliding doors and the tailgate also have an anti-pinch function, which prevents a person from being accidentally caught when closing. 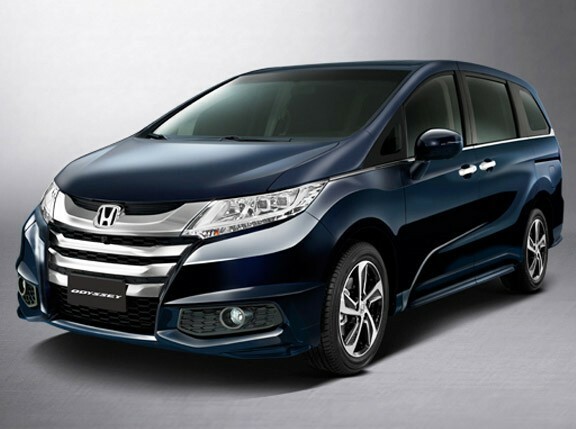 Both the Pilot and the Odyssey are powered by a 3.5-liter V6 engine equipped with Honda's proprietary Variable Cylinder Management system, though the Pilot's engine puts out 253hp and 347Nm of torque while the Odyssey's mill produces 247hp and 343Nm of twist. Propelling both vehicles forward is a five-speed automatic transmission. Other similarities shared by the Pilot and the Odyssey are the eight-passenger seating capacity, the power sunroof, all-leather seats (10-way power-adjustable seat for the driver and four-way power-adjustable seat for the front passenger), a tri-zone auto climate control air-conditioning system, seven speakers including one subwoofer, and a rear backing-up camera with backing sensors. "We believe that these characteristics of the Odyssey and the Pilot will also be appreciated by our customers in the Philippines," said HCPI president and general manager Tatsuya Natsume. "We have observed Filipino families going out together during weekends and enjoying each other’s company, whether in a mall or in an out-of-town getaway. With the Odyssey and the Pilot, these customers will be ensured of an enjoyable traveling experience together with their families." Both the Pilot and the Odyssey are now available at Honda Cars Philippines' dealers with the Pilot going for P2.6 million and the Odyssey selling for P2.8 million.